Whip ONE EGG WHITE, 1 TEASPOON LEMON JUICE, and 1 TEASPOON TURMERIC POWDER. Apply for 20 minutes and remove with warm water. If you’re applying before bed, you can gently wipe off, apply your hydrator, and go to sleep. A healthy glow versus flushed, compromised skin. We want assure that we have healthy lymph and vascular systems, strong immunity to irritants, and a strong and thick collagen bed. To support this I have patients on a 12% B3 serum. B3 improves skins immunity functions by supporting the Langerhans cells. It helps to treat rosacea via creating this stronger immunity in the skin. It strengthens bold flow and can detox the skins of many irritants. It also promotes collagen synthesis. It also helps to regulate hydration in the skin. Sometimes flushing and rosacea can be a sign that there’s an improper balance of water in the skin. If you aren’t getting results from homecare, check for allergies, issues with your gut, or anything that could be causing a histamine reaction. 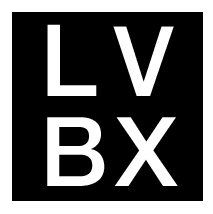 For additional face mask recipes, visit How to Go Makeup Free and Look Good at LVBX Magazine.